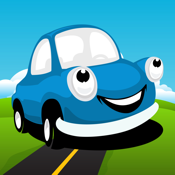 Fun Road Trip Games to play with the whole family. No Ads or In App Purchases! 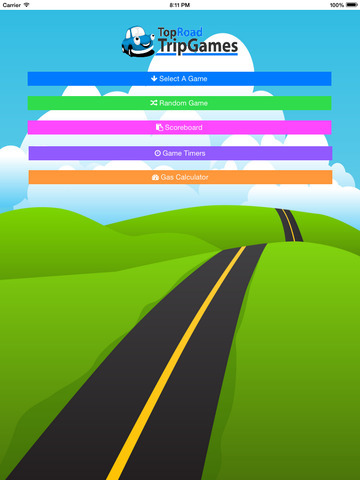 Play 11 different awesome games, a Scoreboard utility that auto sorts based on who's winning, Player Profile Manager, Game Stopwatch, Game Count Down Timer and a simple Gas Trip Cost Calculator. These games are outlined in an easy to read article style, with game instruction and variations. While most of these games can be played on the road, they can also be played at home or even while you're sitting in the doctor's office! Either way, these games are simple, easy to play and should provide hours of entertainment. Games are fun, they are even more fun when time is taken into the equation. 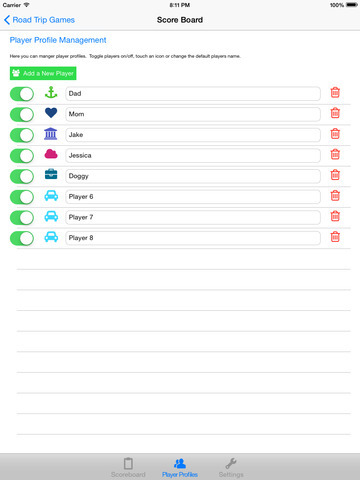 Game timers are like salt and pepper to your meat and potatoes, they can make a fun game even more exiting. Never dig around for a pencil and paper ever again. Simply add in the number of players playing and how many points you’re playing too. Set up a player profile for later game play. There is an auto sort feature in the scoreboard that will always show you the leading players. Why? Because it’s cool. It’s not just a calculator to help determine how much money your trip may cost in gas, also listed are the top five ways to conserve gas on the road.